Global Distributed Development (GDD) is the one of the best development model practiced by CEC. GDD model has fused new vitality in software and application development; GDD breaks the traditional scenario of building structured seating layout at prime and expansive location. In GDD model teams are located at various cost effective location and some key employees are deployed to the client location for requirement gathering, integration, knowledge transfer (KT) and for participating in active client discussions to develop the software or application. This will help client to keep the product development cost down Since they have to pay rate in accordance to the cheaper geographical location such as for example India, Brazil, and Ukraine. Organizations are increasingly moving to Global Distributed Development (GDD) model because of significant benefits that can accrue. However, GDD is fraught with difficulties arising from geographical, temporal and socio-cultural distances. The emphasis in the literature to date has typically been on how to overcome these significant challenges associated with GDD. While a number of GDD benefits have been identified in the literature, there are also a number of less obvious, what we term 'unknown, ' potential benefits that can accrue from GDD. From its vast industry experience, CEC has significantly improved its processes to overcome these hidden challenges. At CEC, we work towards organization benefits, such as improved resource allocation, team benefits, such as reduced coordination cost and improved team autonomy, and process benefits, such as improved documentation and clearly defined processes. At CEC, we arrange our expert's team into virtual team also known as geographically dispersed team or GDT. Members of virtual teams communicate electronically and may never meet face-to-face. Virtual teams are made possible by a proliferation of fiber optic technology that has significantly increased the scope of off-site communication. There are three main aspects to a virtual team - purpose, people and links. While purpose is an important aspect for all organizations, it's the most critical aspect for virtual teams; purpose is what holds a virtual team together. At CEC, we take certain steps for people to work on with a defined structure consisting of common goals, individual tasks and results. Increased productivity: Virtual teams often see an increase in productivity because more personal flexibility is achieved, commute time is reduced, and work is not limited by the traditional 9-5 work day schedule. In turn, the company never sees an off hour. The team on the other side of the globe simply picks up where the prior team left off. This approach is commonly referred to as "Follow the Sun Approach". This advantage can translate to a much faster time to market for new products and technology. Extended market opportunity: This is a major benefit of geographically dispersed teams due to direct access to different market opportunities. With work teams located in different parts of the globe, organizations are able to establish their presence with customers worldwide. This also gives small business owners the ability to compete on a global scale as well without being limited to a particular customer base. Utilizing people with different types of knowledge spread out across the globe can be very beneficial to any organization. 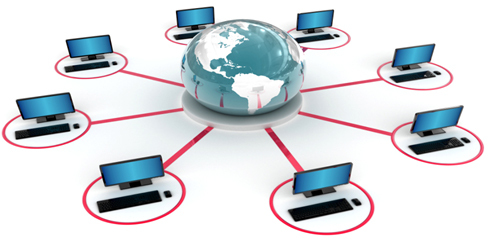 Online meetings, remote computer access, wireless technology, and conferencing systems offer a way for participants to join a complex discussion from anywhere in the world. This benefit can enable most companies to compete on a global scale. Here at CEC, we believe that our success leads in the way of client's success.